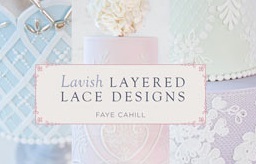 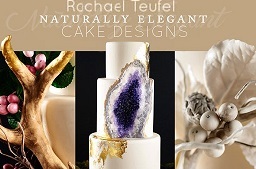 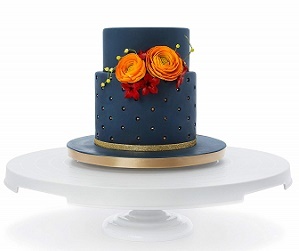 Buttercream roses and piping are a huge trend in cake design at the moment and the trend looks set to grow and grow. 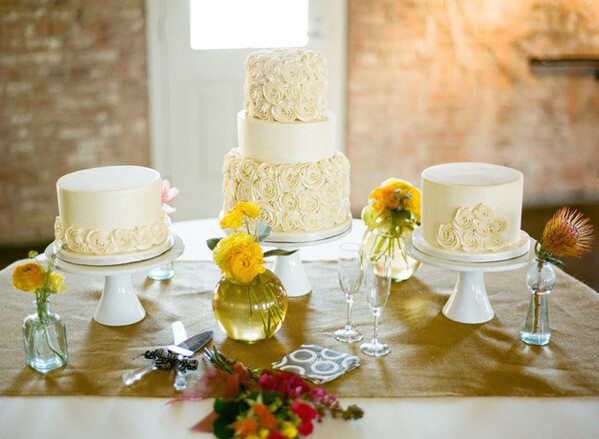 The beautiful trio of piped buttercream rose cakes are by The Layered Bakeshop (Ryan Ray Photography), while the cake designs below are from I Am Baker and the Sisters Cake Company. 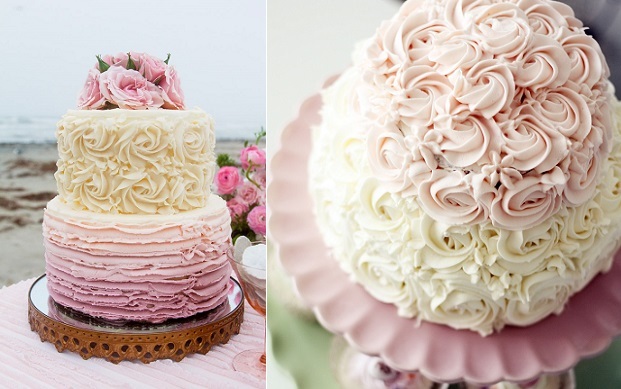 The buttercream rose cake makes an exquisite wedding cake in white or cream frosting, the design also works great in other colours too as you can see from the super pretty example below by Sugar Muse Bakery in soft pinks and lilacs. 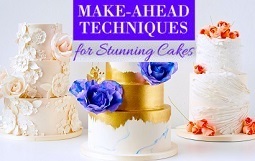 Buttercream is a great medium to work with too. 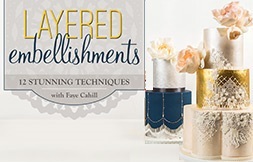 It’s very easy to pipe and is fantastic for creating textured designs. 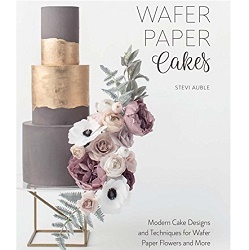 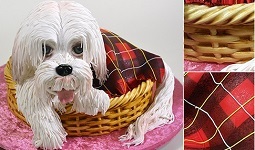 In fact, it’s a great medium for novice pipers to start with because it’s much “bulkier” than royal icing and it’s easier to control while you are getting used to working with a piping bag. 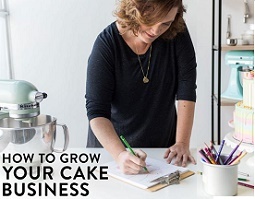 You’ll find a great tutorial here from I Am Baker on how to pipe a rose cake: how to pipe buttercream roses tutorial. 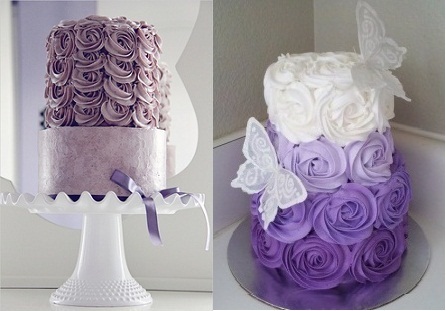 We have two more beautiful cake designs below from Three Blackbirds Cakes (below left) and via Cakes Décor (below right). 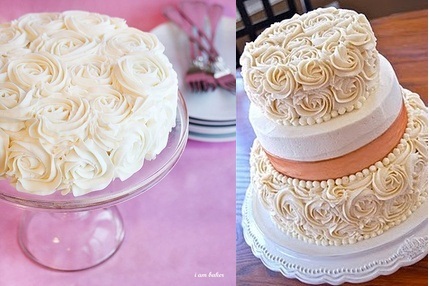 Below are two variations on the buttercream rose cake design – a very chic single piped rose, offset on an ombre/watercolour effect buttercream cake (below left by The Cake Whisperer) and a cake design with an abundance of miniature buttercream roses equally spaced apart (below right) by Wilton. 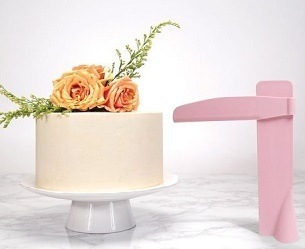 For more colour inspiration, see our feature on Neapolitan Cakes featuring a triple layered rose cake in strawberry pink, chocolate and vanilla buttercream. 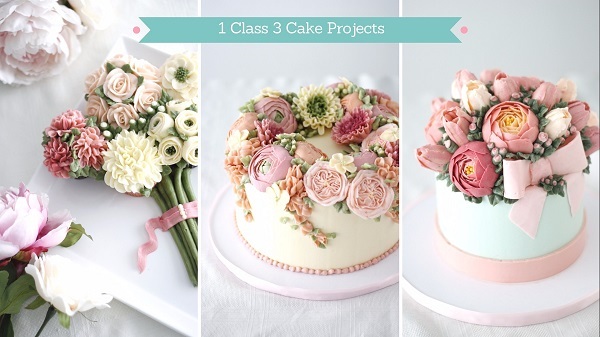 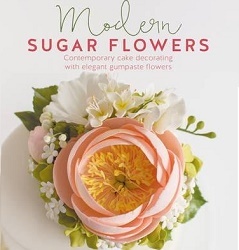 Buttercream Piping, Part 1 – How to Pipe a Buttercream Petal Cake. 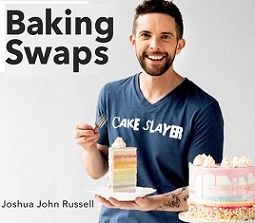 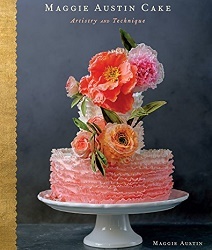 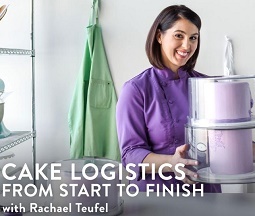 You will also find a related feature here on fondant Ruffle Rose Cakes.